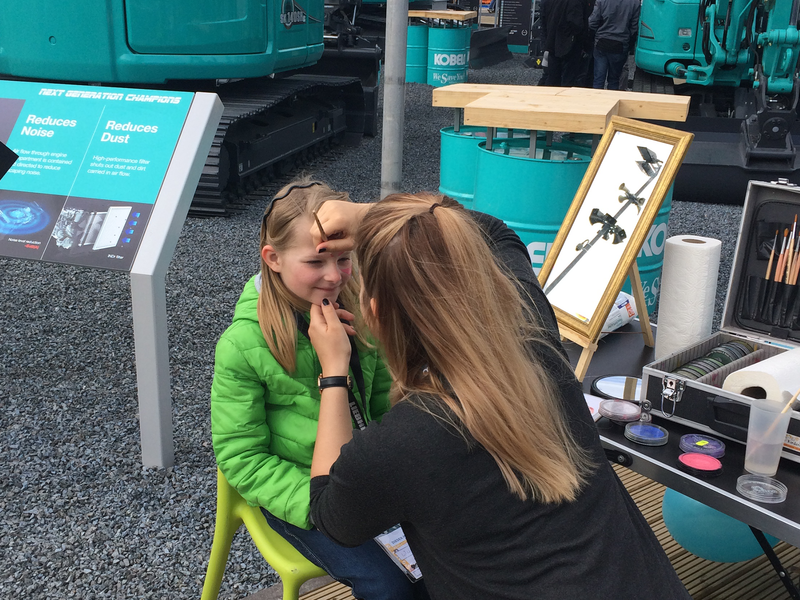 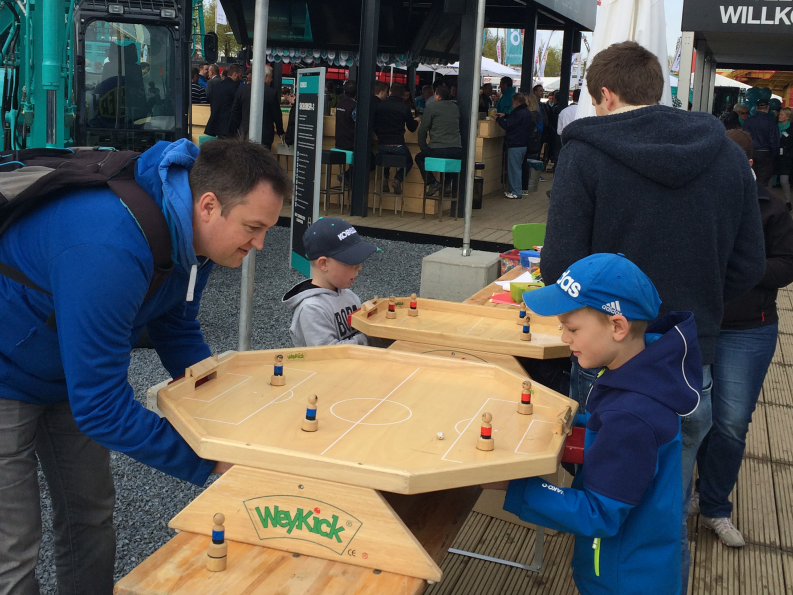 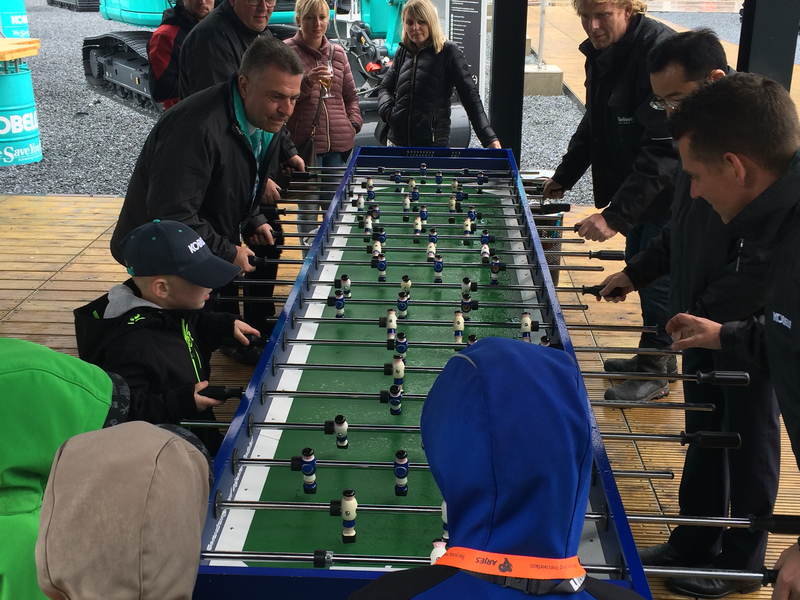 Childs play at the Kobelco stand - Kobelco Construction Machinery Europe B.V.
After a long and tiring week at BAUMA, it was great to relax a little and have some fun at our exciting family weekend, which we hosted on 16-17 April at our stand. 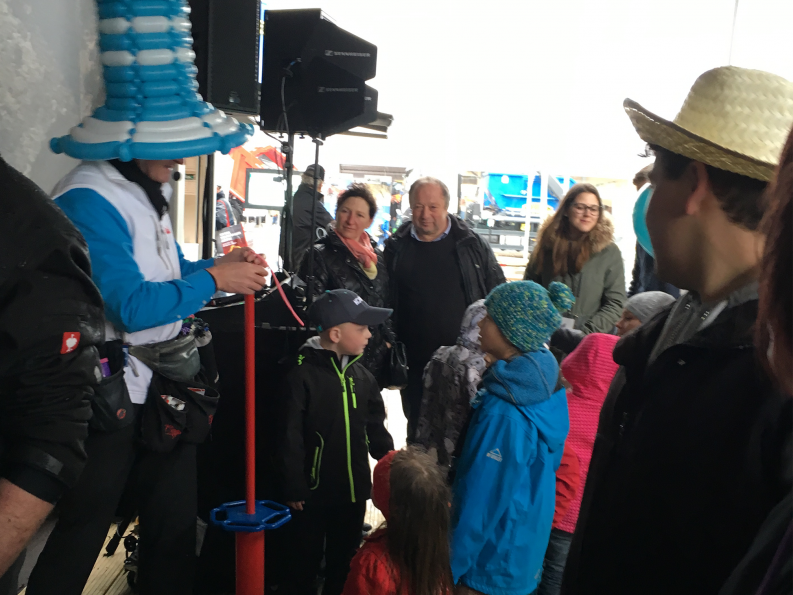 There were lots of fun activities for the kids (and the young at heart) to enjoy, including face painting and a balloon artist – more than 2,000 balloon models were taken away by delighted children! We also had colouring activities and a football game… and the candy floss machine was a bit hit with our visitors during the weekend! 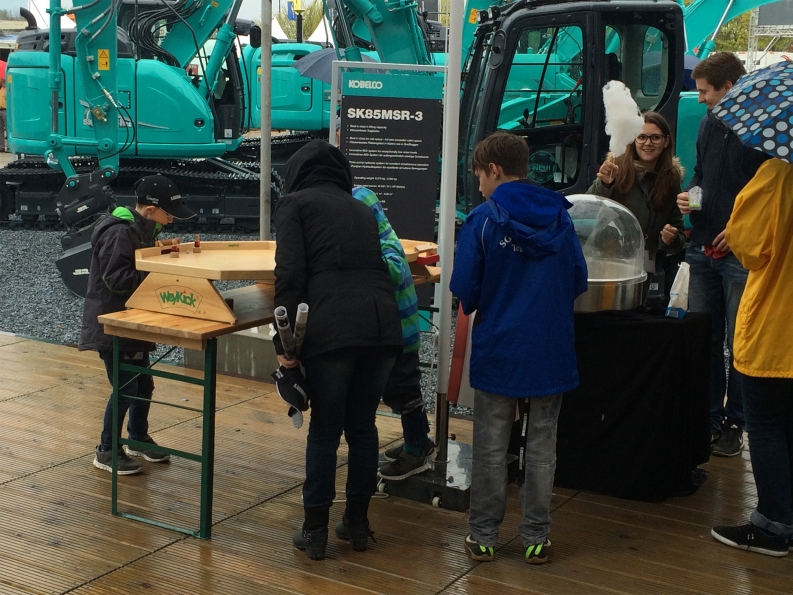 Thanks to everyone who visited us for BAUMA 2016 – it was great to meet you all and we look forward to seeing you again soon!